We know what you are looking for in a waste removal service: professionalism, great customer service, and the ability to get things done without the regular hassle you get from other companies. And that's exactly what you get from Budget Dumpster. We keep things strictly professional so that you can go about your business while we take care of the task at hand, keeping your business clean. We believe that the best waste management companies are those that do the job right and don't pester their customers with random fees, erroneous charges, or try to hard sell them on services they don't need. If you feel the same way, go ahead and give us a call to setup your permanent dumpster rental today! It's a winning combination: affordable monthly rates & great customer service. 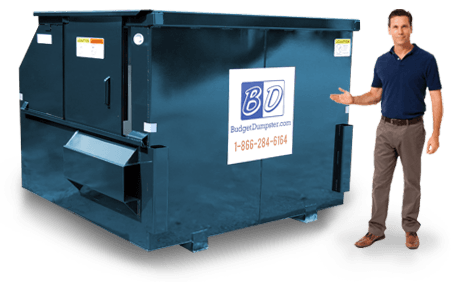 Budget Dumpster offers both as part of its industry topping commercial waste removal services. We work with individual businesses to identify the best schedule for their waste removal, as well as to ensure they are set up with the right equipment to manage their weekly trash load. And the price for our quality trash collection service is simply one flat monthly rate. 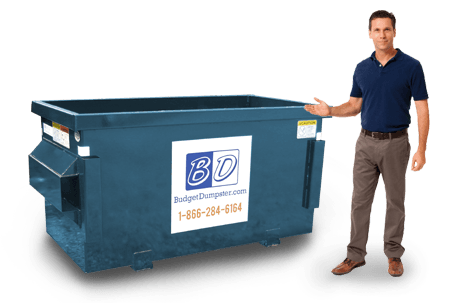 Give us a call today and we'll get you setup with your own affordable waste removal service. 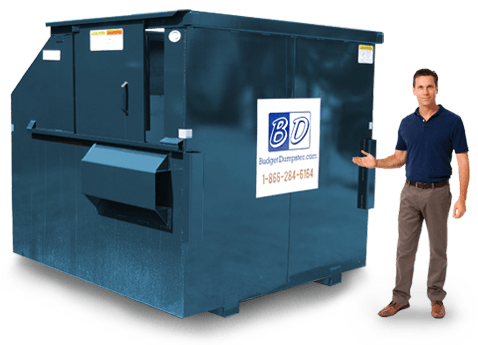 The 2-yard dumpster is a great size for small businesses with relatively few trash bags to throw out on a weekly basis. These containers are typically 3 feet by 6 feet, with a height of only 3 feet. Its small demeanor makes it very easy to fill so you won't be breaking your back trying to hoist your trash bags into the bin. Even better, you won't have to struggle too hard to find a place to put your bin due to its small, compact size. 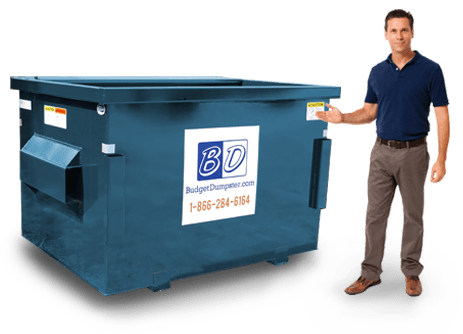 With a 4 yard dumpster you'll be able to dispose of twice as much garbage without having to sacrifice a whole lot of space. These bins are typically 6 feet wide, 4 1/2 feet long, and 5 feet high. Though these bins are larger than a 2 yard dumpster, they are just as easy to load and can be placed practically anywhere on site. The 6-yarder is the second largest dumpster we offer. These bins are built for larger businesses in both the industrial and retail sectors. These bins are typically 6 feet wide and 5 feet long with a height of 6 feet. Though this bin might be taller, it is still very easy to load up with trash. On the side you will find a sliding door that will allow you to easily hoist your trash bags inside without having to awkwardly hold the lid open. The big old 8 yard dumpster is perfect for any large-scale commercial operation, such as a distribution center or warehouse. This size can accommodate a huge amount of trash, up to 1600 lbs. worth. It measures at 6 feet wide, 5 1/2 feet long, and 7 feet tall, making it an imposing bin that matches the large structures it is often attached too.